When is Easter Eve 2020? 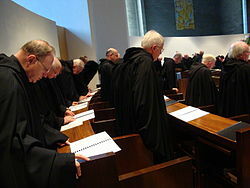 Easter Eve, more commonly known as Holy Saturday and sometimes known as Black Saturday or Great Sabbath, is the Saturday between Good Friday and Easter Sunday. It is the last day of Lent and also the last day of Holy Week in which Christians prepare for Easter. It commemorates the one full day that Jesus Christ's body laid in the tomb. 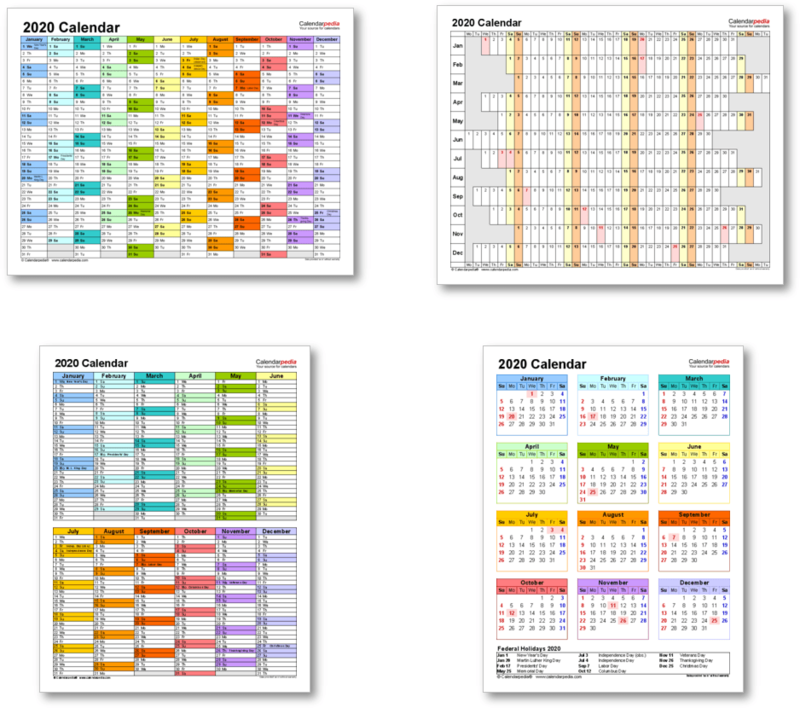 It is not the same as Easter Saturday, as, correctly applied, this term refers to the Saturday in Easter Week (ie. the Saturday after Easter, not the Saturday between Good Friday and Easter Sunday). 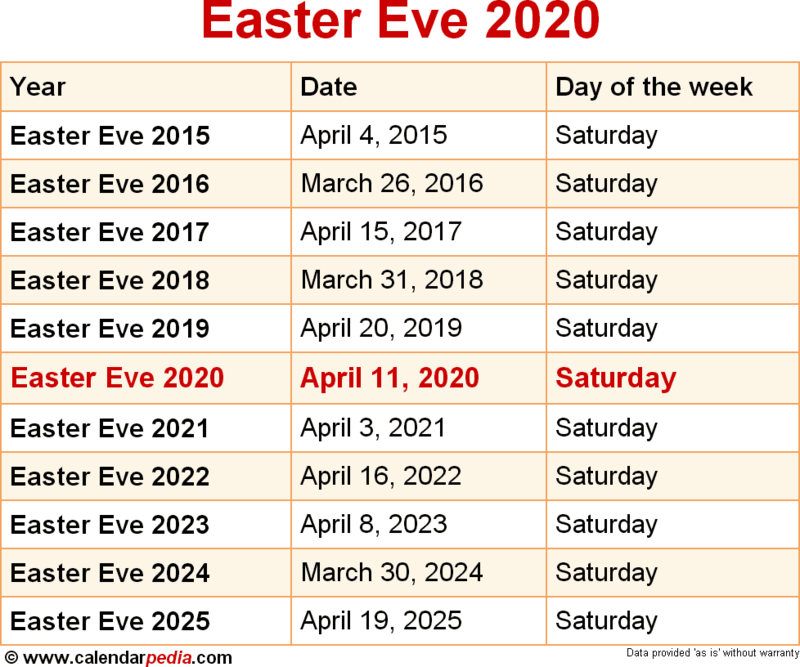 When is Easter Eve 2021? The next occurrence of Easter Eve is marked in red.